From the first wine, to the most beautiful cuvées, the grapes are harvested with the greatest care in manual harvesting. It is then conveyed in tank by simple gravity. The extraction is done with delicacy without forcing the nature. Without chemical yeasts, without chaptalization and without further additions, the grapes slowly turn into wine in the image of their original terroir. The clarification of the wine is natural and the cuvées raised in barrels are unfiltered. Thus, the wine that you have in your glass is the exact reflection of the terroir. 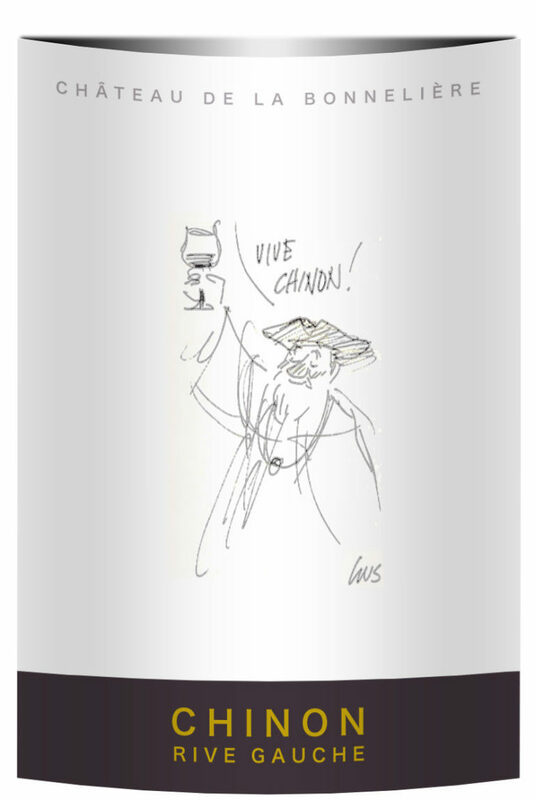 From a selection of alluvial soils of the left bank, this wine have fresh and crisp aromas. Vinified as naturally as possible, it can be drunk during his first year. perfectly its soil and its grape variety. This wine comes only from the plot surrounding the Château de la Bonnelière. It is a beautiful clay and limestone terroir that gives a beautiful elegance, fresh and delicate aromatic length. This single plot is the example of a beautiful terroir, with wind sands, clay and limestone. Ilt’s giving a lovely wine, with fineness, elegance and soft and sweet tannins. This wine is made wtih a little plot of the hamlet « Vindoux » planted in 1929. Its particular vinification in opened barrels gives it a flavor and exceptional potential. In the nice hamlet of Roche St Paul is located a little old plot called Clos des roches St Paul. It’s a great terroir of 1 hectare which produces a rich and complex wine. Made from clay-limestone plots, bringing its freshness. This Sauvignon harvested at full maturity, gives a very aromatic wine, crisp and fruity. Cold winemaking accentuates its aromas. It can be enjoyed in its youth. an example of a powerful and dry chenin. This wine comes from a beautiful clay-limestone soil, on the Left Bank of Vienne. The Chenin planted on these clay-limestone soils gives a wine with a nice acidity and freshness. This wine comes from the alluvial soils of the Left Bank of Vienne, composed of sand and gravel. The freshness of cabernet franc planted on these soils give this aromatic and fresh rosé. Cabernet Franc can give rich, tannic wines, or fruity wines. This is the case of « Le Croquant » which is obtained from plots surrounding Chinon. This wine comes from clay and limestone hillsides on the banks of Loire. It gives intense wine, with freshness and raspberries aromas. This wine comes from vines bordering « le Cher ». This terroir gives to the wine a beautifull freshness and a nice aromatic length. Made with grapes harvested at full maturity, this sparkling natural Chenin grape variety was vinified without further additions. Made with grapes harvested at full maturity, this sparkling natural Cabernet Franc grape variety was vinified without further additions.